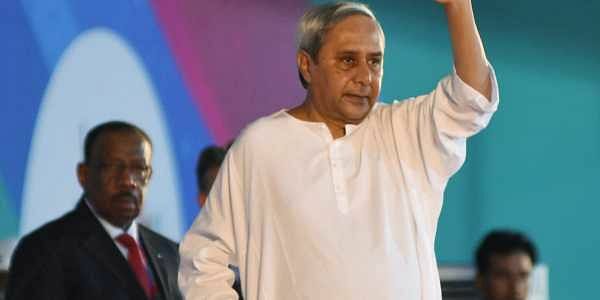 Odisha Chief Minister Naveen Patnaik was chosen from among six Chief Ministers including Nitish Kumar, Manik Sarkar, Mamata Banerjee, Devendra Fadnavis and Siddaramaiah. BHUBANESWAR: Chief Minister Naveen Patnaik has won the prestigious Outlook Speakout Award-2017 as the best administrator in the country. He was chosen from among six Chief Ministers including Nitish Kumar, Manik Sarkar, Mamata Banerjee, Devendra Fadnavis and Siddaramaiah. The award was presented to Naveen by former President Pranab Mukherjee at a function at New Delhi on Friday. Recalling Biju Babu’s contribution to freedom movement and nation building, Mukherjee described Naveen as the worthy son of a worthy father. He also praised Odisha Government’s role in poverty reduction and job creation. Accepting the award, the Chief Minister dedicated the award to the four crore people of Odisha. “It is a proud moment for all of us. We are on the right path. I will get satisfaction when Odisha becomes the number one State in the country,” he said. In the last 10 years, Naveen said, Odisha has doubled farmers’ income and lifted eight million people above the poverty line. As far as women empowerment and socio-economic development of people is concerned, the State now has five million SHG groups under Mission Shakti initiative. As far as reduction in infant mortality is concerned, Odisha is well above the national average and 50,000 lives are being saved every year, he added. “Super cyclone had ravaged Odisha in 1999 and thousands had lost their lives. Through our disaster management initiatives in the last four years, no human lives were lost in cyclone Phailin. We have always endeavoured to make our State number one in the country,” he said. The award was given in recognition of Odisha’s exemplary turnaround under the leadership of Naveen, who inherited a Government lagging behind on all fronts after the State was devastated by the Super Cyclone. Having shed the most backward State tag under his stewardship, Odisha is now held as a model of development and economic growth. Besides, Odisha’s agricultural transformation has been unparalleled. From being dependent on others for its minimum food requirements, it has not only become self-sufficient in foodgrain production, but also plays a vital role in ensuring food security for the people of the country, the citation said.